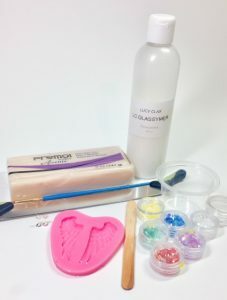 In this polymer clay tutorial by Marilynn Ordoñez, you will learn how to create faux opal effect using Glassymer Gel (Transparent) by Lucy Clay. Born and raised in Puerto Rico , Marilynn always loves sea life and the amazing colors of the rainforest. 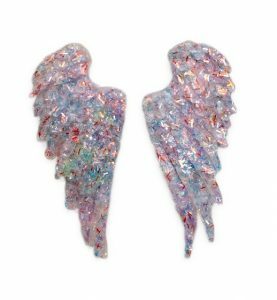 She has carried these images into her polymer clay jewelry. Follow Marilynn on Instagram. Contact or give feedback feedback at Marilynnsjewels@gmail.com. Opals are my favorite gemstone! I’m always trying to find better ways to make faux opals with polymer clay, resin, and other mediums. 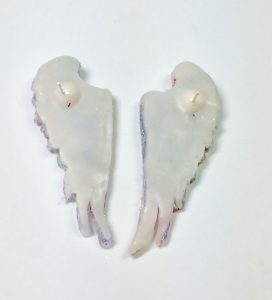 I have tried making faux opals with other liquid clays, but they were never as clear as I wanted. 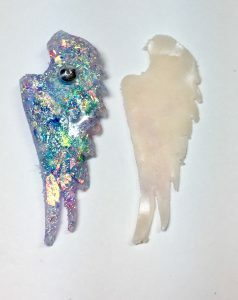 So, I recently tried to make opals using Lucy Clay‘s Glassymer. 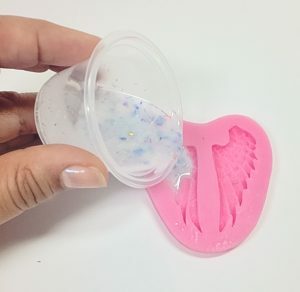 This is the only liquid clay that layer after layer cured totally clear. It’s amazing and I’ve been making so many faux opals using it! 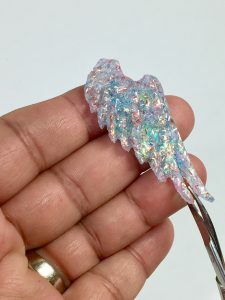 There’s a lot of waiting time in this tutorial, but it’s not difficult, meaning even polymer clay beginners can give it a try. Now, let’s do some magic! i. 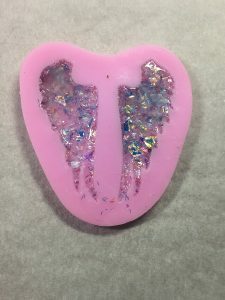 The amount depends on the size of your wing mold. i. 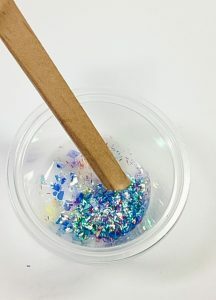 The ratio should be 1-part Glassymer to 3/4-part glitter and flakes. 5. 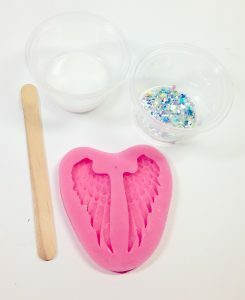 Fill your wing mold half way with the liquid clay mixture. i. 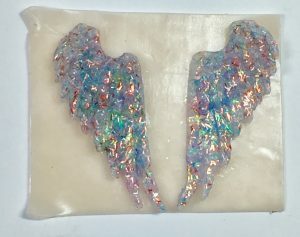 You can add some colored glitter on top to have some color show through the wings. 15. 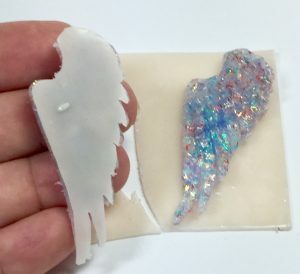 Lay the wings on top of your translucent clay sheet, smooth side down. 20. Place each wing on the baking tile upsides down. 22. Let it cool completely before removing them from mold. You’re done! 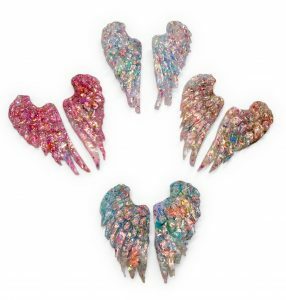 Your glittery, Angel Wing earrings are ready to wear!